Panama Cost of Living — How Much to Live in Panama in 2019? The United States’ strong presence in Panama dates back to the early 1900s, and it spans nearly all of the 20th century. This fact has had a lasting impact on the country, and it also why so many expats looking to move to Central America are quick to consider Panama. In 1903, Panama granted the U.S. rights to the Canal, and the Panama Canal Zone became an unincorporated territory of the United States until 1979. The U.S. would maintain partial control over the canal until 1999. This is more than a quick history lesson, as it has a very real and direct impact on how your life might go as an expat in Panama. My father grew up in the canal zone, spending 17 years there before moving to Florida to finish high school. In turn, I grew up with stories of his time in the country, and his own plans to eventually retire in Panama. That meant research trips to the country, patacones for dinner growing up, and a myth about living in Panama that I hoped to see for myself. When my dad and I visited Panama in 2013, some of his retirement plans were a bit squashed. It’s a popular spot and the cost of living for expats in Panama is rising in the most popular spots. While we looked at property in Gamboa and Boquete, there are actually many other spots. Each city has their own pros and cons. As a digital nomad myself, I have lived in Mexico and Thailand for years. So, together we decided to explore what Panama has to offer. We found that where in Panama you choose to live has a strong impact on living costs. This post will explore the vibes and quality of life for the most popular spots, as well as detailed resources for understanding the cost of living in each of Panama’s popular expat towns. Panama is an excellent spot for expats, retirees, and even an increasing number of digital nomads are calling Panama home for part of the year. The currency is pegged to the USD, a good deal of English is spoken in the popular cities, yet the food and culture remain solidly Panamanian. There is a lot of U.S. influence on Panama. Panama City has high-end malls, English is spoken widely in Boquete. While new arrivals surely make up some of the expats, there are also many retirees and military personnel living in Panama — these are leftovers from the Canal Zone era. This means many of the expats are there for the very fact that it has the U.S. vibe. But the country boasts a range of cultures north to south, each one is a part of the compelling cultural experience of living in Panama. During my research trip with my dad, we did the reconnaissance work looking at areas, but also visited an indigenous chocolate plantation, visited family friends, and enjoyed the history in Panama City. If you are there for considering Panama for the culture, it’s there, I promise. A lot of the online expat guides are for the more sanitized areas of the country, but all of Panama has a lot to offer potential expats. Another reason that many consider Panama: It’s possible to live in Panama for as low as $1,000 per month. However, this is only in very specific cities. It’s not a country of rock-bottom prices like living in Thailand or even the affordable costs of living in Mexico. Consider this comparison of costs of living around the world for perspectives on where Panama fits. Many people choose Panama because of the weather and ease of living. Even more, unlike other countries, Panama offers a special discount program to those who choose to retire in there; through the Pensionado program it is possible to get discounts between 10-50% on everything from food to hotel to entertainment to airline tickets. It’s not the cheapest place, but the many other benefits have many expats choosing Panama over nearby places in Central America. Cost of Living Range: $1120 – $8000. All general estimates in this guide assume living costs for two people. The stories and resources provide specific information for singles, couples, and families. Currency: Panama Balboa; pegged 1:1 with the US dollar. Water: Safe. You can drink tap water in most of Panama. Avoid drinking tap water in Bocas del Toro and Comarca de Guna Yala. There is a lot of U.S. influence on Panama. But Panama has a range of cultures north to south; this mix creates a compelling cultural experience. Even more, Panama offers a special discount program and an easy visa process for foreign retirees. The U.S. influence on Panama has a big impact on why many expats tend to choose this spot. I can’t emphasize this enough — unlike nearby Costa Rica, Panama in particular has a very strong U.S. vibe, at times. There is also a large indigenous population and plenty of cultural activities for those expats looking for a good mix. Except for in the islands, most expats have cars for transportation. The long-standing influence means many houses on the rental and buyers market are built by former foreigners, with that same style and flair. Food is plentiful, the high number of expats means that grocery stores often carry imports of your favorite items. Let’s take a closer look at the major expat spots. This section looks at the vibes and why you might consider each city, the next section compares the actual costs of living for each city. Panama City is a cosmopolitan city, with a vibe similar to Miami and Hong Kong, an ideal place for expats with a more sophisticated budget, who don’t mind traffic, and love a diverse food and culture scene. While there are some retirees in Panama City, you are more likely to find younger expats with well-paying jobs. Lots of expats report in on the style of life you can afford in Panama City and which parts of the city to consider first. Restoration efforts for several years now are under way in the oldest part of Panama City, Casco Viejo. This is a good going-out spot in the city and is growing in popularity as it is now becoming safer to visit after dark. Boquete, Coronado, and El Valle de Anton are the three most popular expats destinations in Panama, partly because each of these cities are easy places set up an expat lifestyle. This does, of course, increase the cost of living over other small cities and towns. Boquete is about 60 kms from the Costa Rican border, is a popular destination with retirees. The temperatures here are cooler than in Panama City, about 70-80ºF during the day, with the temperature dropping in the evenings. In Boquete there are almost as many expats as there are Panamanians, there are plenty of outdoor adventures, nightlife, and good food. It’s a very pretty, idyllic setting. Though there is a good deal walkable in the main city center, many expats have cars to navigate to homes in the outskirts. There are many festivals, a weekly market, and the number of activities that make this place enjoyable seem to increase each year. Coronado is a beach resort town about sixty minutes south of Panama City, along the Pacific Ocean. A popular spot with beach-loving expats, and with Panamanians too. The cost of living in Coronado is higher than that of Boquete. The expat community here is thriving and growing more every day. It’s a different vibe than Boquete in a very real way. It doesn’t have a lot of the local culture that you can find in other areas. This is the best piece I’ve read detailing the quality of life in Coronado. Think: nice roads, new buildings, shopping centers, McDonald’s, and more. El Valle de Antón is perched on the floor of a volcano crater in the central highlands about 120 kms from Panama City. El Valle de Antón has a large indigenous community, and a weekend arts and crafts market that attracts tourists, expats, and locals. Setting up life as an expat is easy, and the community is active and helpful. This is a good spot for a mix of culture with the expat amenities. If you’re on a budget or moving your family to Panama, David (pronounced Daveed) is an excellent choice. The second largest city in Panama, and the capital city of the province of Chiriquí. In the Panama Highlands, the temperature in David is like that of Boquete. A perfect spot for those who enjoy city life, but on a budget. Being a large city, there are a lot of schools, mix of restaurants, hospitals, and everything you’d expat in a large city. Smaller towns like Las Tablas, Aguadulce, Penonomé, Cerro Azul, and Bocas del Toro (a collection of islands on the Caribbean side of Panama, near the Costa Rican border) have a lower cost of living and give expats a chance to experience more local culture. Many of these areas lack the large, Western-style hospitals in larger cities. If you have ill-health, the remote nature of a place like Bocas del Toro isn’t be ideal. In addition to those smaller expat towns, you’ll find expats living in even the most unlikely of cities. Anything commutable to Panama City has locals and expats interspersed. My dad and I visited his former nanny in La Chorrera, and she mentioned many retirees from the Canal Zone had set up shop there, even though no expat scene exists. Cities like this are local-level prices. Realize that the local wages are often far lower than the cost of living estimates in other parts of this guide. Many Panamanians are living on local salaries of about $550 per month, so any non-expaty cities are going to have very different costs and different qualities of life. In my experience, these towns also have no expat scene, so unless your Spanish is fluent and you enjoy making new local friends, take this into consideration during your research. Panamanian food is a mixture of African, Spanish, and Native American, with corn being the main ingredient in most dishes. Chicken, Pork, Beef, and Seafood are also integral components of Panamanian cuisine. The national dish is Sancocho, a stew like dish with chicken, yuca, mazorca and otoe. This is one of my dad’s favorite dishes and it gives you a good understanding of the flavors you’ll find present throughout the rest of Panamanian cuisine. Expect that foods when you go out will to include a lot of rice, beans, corn, and vegetables on the low-end. But we found nice pizza restaurants, Italian, Chinese, and a mix of influences in even the most non-touristy cities. Being a vegetarian in Panama wasn’t too difficult. The range of food influences was great for me. Wherever we ate, I could enjoy vegetarian food while my family enjoyed meat. That being said, there are not a lot of vegetarian specific restaurants, so it’s a lot of beans, rice, and smashed plantains at local spots. Being a celiac in Panama will be challenging; however, there is a website called Fundación de Celiacos de Panama that has a lot of helpful information. The website is in Spanish, so you might need to use Google translate. It’s not as cheap as many expats might expect. In our scouting, my dad and I were surprised that houses in Gamboa easily sell for half a million U.S. That said, local wages are lower than these estimates. In general, unless you plan to live in the very local cities, where only Panamanians live, a mid-range lifestyle will cost anywhere between $1000 and $3667 per month, depending on which city you choose. These estimates are for couples, families, or solos looking to maintain a bit of their former lifestyle. Boquete is the perhaps the most popular expat spot, with Coronado and El Valle also popular. Boquete has a strong retiree community, while Panama City (and to an extent Bocas) attracts a younger expat/digital nomad crowd. Go to some small, niche expat spots like Cerro Azul or Las Tablas, and you save on some areas — rents as low as $400 per month. Jessica Ramesch is the editor of International Living’s Panama website. 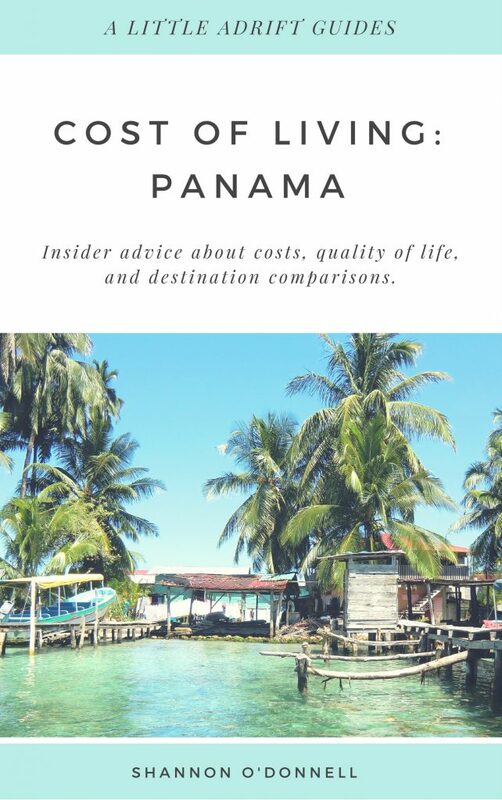 An expat from the US, Jessica has written an informative post about the cost of living in Panama City. She gives rental information of various areas of the city, and reports that one could live well in Panama City on about $2,000 per month. Mike is an expat from Tampa, Florida and lives in Panama City, Panama with his wife (and cat). He runs the site, Panama for Beginners. His cost of living in Panama post gives a detailed accounting of the costs involved with living in Panama City, as well as a comparison to what he was paying back in Tampa. He reports that the cost of living in Panama City is about $2,500 to $2,600 per month. Park and Josh are expats from the US who sold their business and moved to a 400 acre island off the coast of Panama, and run a website called Viva Tropical which features articles on life in Latin America. Park and Josh have written an extensive article on living in Boquete, providing helpful details on discounts given to Panama’s Pensionados (foreigners who choose to retire in Panama). Park and Josh report that a three bedroom home with two bathrooms will cost around $800 a month to rent. This estimate has been born out from my visit too. Betsy, Reyn, Skylar, and Blaise are a family who have lived in Panama for the past eight years. They run a website called Living in Panama, which focuses on family life in Panama. They have written an incredibly informative post comparing the cost of living in Boquete, as well as two more towns in Panama that are popular with expats. They report that the cost of living in Boquete is about $1,100 to $3,267 per month. Kris Cunningham is an expat from Sarasota, Florida who moved to David, Panama with her husband in 2012. A retired RN, Kris writes detailed accounts of her life in David. 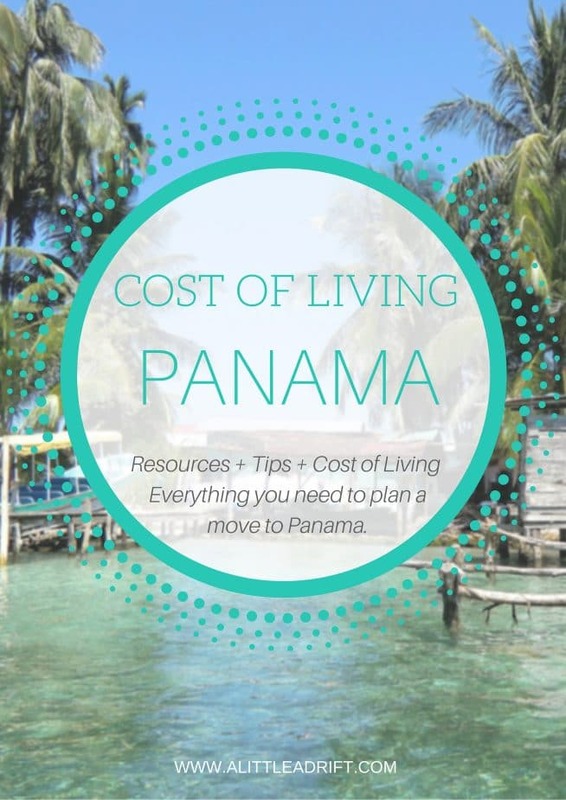 In her latest cost of living in Panama post, Kris details everything from rent to utilities to food, as well as costs for extra expenses such as drinking, painting class and supplies, and trips to Panama City. Kris reports that their cost of living in David is $1,243.26 for them to live comfortably as a couple. As Boquete increasingly seems to price out some expats, David is becoming a more popular option. It’s a similar climate, although it’s a very different vibe. That same family of four, Betsy, Reyn, Skylar, and Blaise, have lived in a lot of the country. In addition to Boquete, they shared an informative post comparing the cost of living in Coronado with two more towns in Panama that are popular with expats. They report that the cost of living in Coronado is about $1,810 to $3,667 per month. Other estimates seem to fall into a similar range. Most of the accommodation is very near to the beach, and the prices are matched to the fact that this is a holiday town for many expats and locals alike. Bocas del Toro is a gorgeous spot, it’s a collection of islands near Costa Rica, on the Caribbean side of Panama. But expats choosing to live here are looking at an increase in costs that goes with island life most anywhere in the world. That being said, this is one of the cheaper possible spots in Panama. There is some lower-end accommodation — bungalows, small beaches, etc — and there are many potential islands to call home. It’s a different quality of life than cities like Boquete, which are expat havens but a very different lifestyle. Younger expats or digital nomads will enjoy the possible mix of surfing, live music, snorkeling and other island life activities. Chuck Bolotin is the man behind Best Places in the World to Retire, and he wrote a piece for The Street on the cost of living in Bocas del Toro. Chuck reports that it is possibly to live on $1000 per month, and $2000 would give you even more freedom to enjoy life and take part in extra activities. Betsy, Reyn, Skylar, and Blaise, eight years into their Panama life, have a good grasp on which areas are best for families in Panama. They share a look at the cost of living in El Valle, as well as two more towns in Panama that are popular with expats. They report that the cost of living in Coronado is about $1,440 to $3,342 per month. Overall, with all these destinations considered, living in Panama is comparable to Mexico: food, culture, and costs. Similar to Thailand, while it is possible to live on $1,000 per month in Panama, you will enjoy life more by expanding your budget and allowing for extra activities and events. A baseline of $1,250 a month would be more reasonable. And while all this research gives a good baseline of vibes for each place and possible costs, I can’t tell you how much I recommend that you plan a trip to Panama so you can do your research in person. If you have the time, consider spending your 60-day tourist visa as a research trip. You could move to the city with the most potential for the two months, or spend a few weeks in your top three spots. My dad and I rented a car once we made it to Panama City, and this was such a good call. Driving in Panama City is super stressful, but the rest of the roads tend to run pretty well. The resources at the end will help you continue your research, as well as help you plan your research trip to Panama. The Boquete (Not for Tourists!) Handbook: Dianne Heidke has been an expat in Boquete, Panama for over ten years. In her book, she provides detailed information on visas, purchasing property, banking, taxes, culture, and more. A valuable resource for anyone thinking about retiring in Boquete, Panama. The Gringo Guide to Panama, What to Know Before You Go: JuliAnne Murphy relocated to Panama in 2008, and after two challenging years of life as an expat in Panama, she decided to write a book. A cultural guide to Panama, and all that life as an expat entails. Living in Guatemala: This eguide shares the cost of living and what it’s like in one of my favorite spots in Central America, Guatemala. Although less developed than parts of Panama, there are some very compelling reasons (great culture and more affordable, to name two) to consider moving to Guate. The Path Between the Seas: The Creation of the Panama Canal, 1870-1914: A fascinating read on the building of the Panama Canal by famous historian, David McCullough, who tells the stories of the men and women fought the odds for over 400 years. The Tailor of Panama: John le Carre crafts a sensational spy mystery and The Tailor of Panama is one of his best. Set in Panama City, The Tailor of Panama is an ex-con who learned to tailor in prison and living a lie, and a British spy who travels to Panama to recruit agents and gather intel. Panama: A Novel: Twenty-five years after leaving Panama, Hank (who has both American and Panamanian ancestry) returns to Panama in 1989, just ten years before the American withdrawal. A captivating story by Carlos Ledson Miller that takes you throughout Panama, from the capital to the jungles to the canal zone to La Preventiva prison. Bringing Pets to Panama — from A to Z: A thorough post on what you need to do to bring your pets with you to Panama, starting with what you need to do three months before moving to Panama. How Banking Works in Panama: A post on everything you need to know about opening a bank account in Panama, as well as some of the challenges. How to Find a Job in Panama: A helpful resource for those wishing to earn a side income while in Panama. Check out these FB groups and expat forums: Young Expats in Panama, Expats in Panama, ExPats in Panama. Panama Expat Meetup is a wonderful resource for those looking to meet and connect with expats in Panama. This community lists expat events happening all over Panama. Planning a Research Trip to Panama? Pick out a good travel insurance policy like World Nomads (I’ve used them since 2008) to cover you while you’re either in transit visiting your future homes, or their insurance policies can work well as long-term expat insurance too. Or, if you fly into Tocumen airport the country extends you 30-days of free travel insurance. Seriously, how cool is that? But if you’re staying longer than 30-days, you’ll need travel insurance. And once you move there, you’ll need a long-term local insurance policy. If you’re visiting Panama City, I recommend Los Mostros Hostel as a super budget option or Novotel Panama City for mid-range prices and accessibility to the places you’ll likely need to research. If you’re visiting Boquete, it’s a small city so you can’t go wrong with most of the central places. I recommend Refugio del Rio as a budget option — my dad, my niece, and I stayed here in a private room and it was quite nice. Casa de Montaña Bed & Breakfast is good for mid-range prices and good accessibility. In David, I recommend Bambu Hostel as an option for budget travelers, or Aranjuez Hotel & Suites for mid-range prices and accessibility. In all of the cities, Airbnb is a good option too—it’s a good way to see how you can live like a local by renting from a local. Recommended Cultural Reading: If you’re hoping to fully immerse in the local culture, then there a few good books you should read. The Path Between the Seas: The Creation of the Panama Canal is the definitive book on the subject. Panama’s history has been strongly shaped by the canal, and this makes a required reading for those moving to Panama — bonus is that it’s really quite readable. Besides that, the only other book on Canal history you should consider is this one. Between the two you should be covered. For lighter reads, The Tailor of Panama is a fascinating read, as is The World in Half.